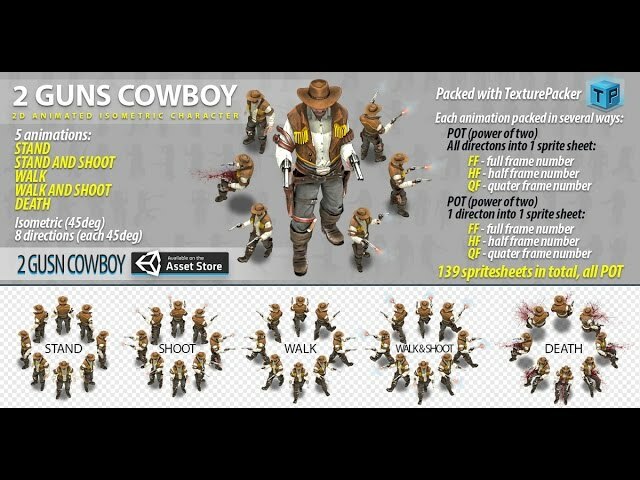 2D cowboy with two guns (revolvers). Animated 3D character rendered into 2D images. 5 animations rendered from 8 angles.